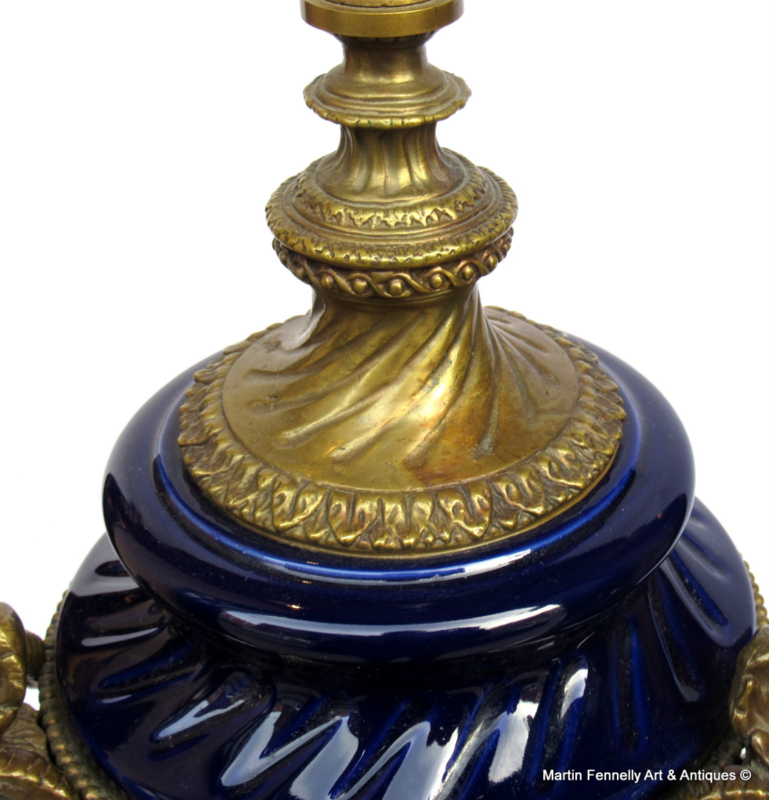 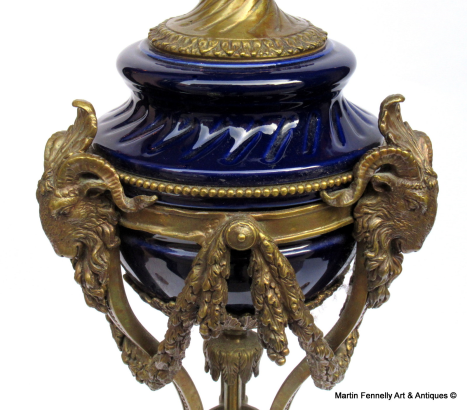 Superb Pair of French Louise XIV Style Table Lamps in Cobalt Blue Porcelain and Ormolu Mounts. 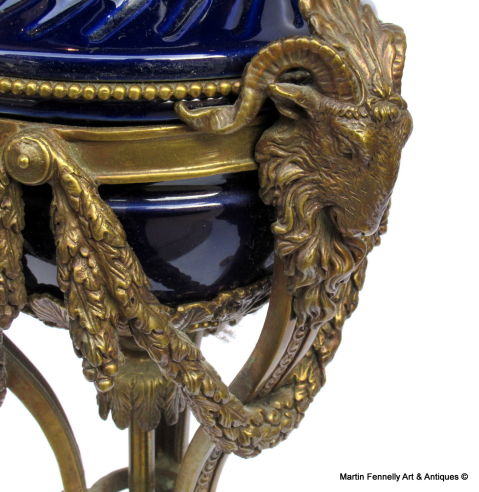 They have well cast Ram Head detail all mounted on a Central Cobalt Blue porcelain centre. 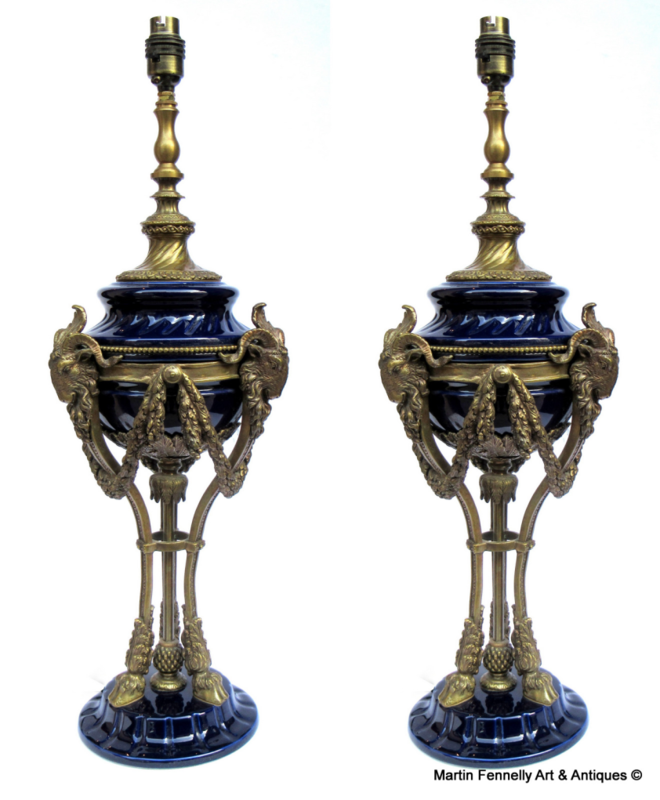 Raised on classically designed concave-sided ormolu supports with cloven feet all above a spreading porcelain base. 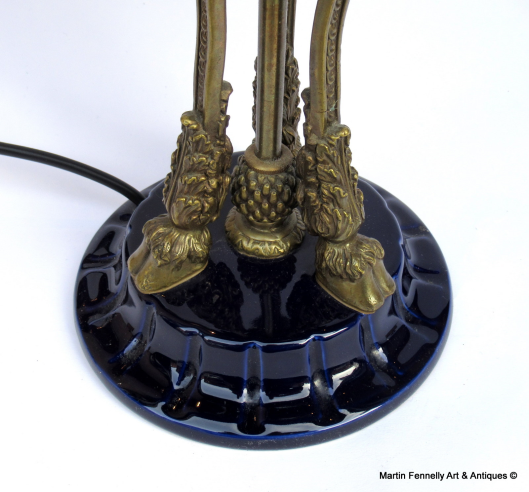 They come wired and ready for use with matching shades.